70K method is another free binary options trading software. The people behind this system say that they have a shortcut to over $70,000 per month and that they can make you rich. Today I will be providing a review and letting the binary today readers understand why I believe this is a very dangerous investment opportunity. Any product on the Internet that claims to be able to provide us with over $70,000 a month like this 70K method, raises a lot of questions. I am immediately skeptical about investments like these because they are promising too much and they are too good to be true. I always warn the readers here at binary today that if it does seem like it’s too good to be true and the promises are two grand then you should probably stay away from it. I would give that advice today when talking about the 70K method. This software is just another free binary options trading system. If you’ve read my website before you realize that these free systems hit the market on a daily basis and then disappear from consciousness merely days later. The developers of systems like these are trying to get you to sign up with their brokerage and then they are done with you. The support from companies like this is always piss poor. I will not be recommending the 70K method to the readers here at binary today. 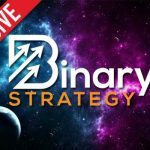 There is no reason for us to get involved with any of these so-called free binary systems that cost us our deposit and force us to sign up with the broker we don’t want to. If you something you would like to add to this review please leave your comments and concerns below. If you’ve any questions or you want to contact me personally just click ask John at the top of the webpage and I’ll help you out. It sounded good. Sounded like it was developed and tested over time. I tried 70K Method and it rarely trades, even had it on overnight for a week. Initial was one win one loss. A week later another win, then a loss ended up with 3 wins out of five trades over several weeks. The support link is a dead link. The platform looks great and features are impressive. Too bad they don’t get someone to write the code. It’ only programming. I was pleased with broker, Big Option, was prompt with a refund of almost the entire balance. Though there is a $25 and $10 fee to get the transfer out and some other percent of the balance.